Fort Lauderdale, located in Broward County on the coast of Florida, is known as the “Venice of America.” To the relief of locals, it is no longer quite as lively a spring break destination as it once was, but it is still a popular tourist spot for more affluent visitors. It has 7 miles of beautiful beaches and is the starting point for many cruises. On a more concerning note, Florida has been ranked the fourth worst driving state in the country, and Fort Lauderdale sees a high percentage of car accidents. Miami-Dade County is the leading county for car accidents in Florida. However, Broward County, where Fort Lauderdale is located, comes in second for car accidents, despite its lower population level. The fatal accident statistics for 1992-2009 show that Fort Lauderdale often has more fatal car accidents than the Florida average, with 31 fatal car accidents being recorded for the area in 2009. Aggressive driving by both tourists and locals is a significant problem in Fort Lauderdale and Broward County generally. In Broward County, there were 38,423 criminal and 293,985 non-criminal traffic violations in 2012. In 2009, 10.86% of all Florida car accidents occurred in Broward County. In just seconds, a motor vehicle accident can change your life and the life of your loved ones. 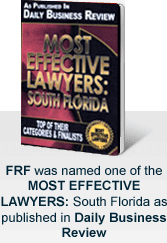 One of the key things our Fort Lauderdale car accident attorneys can help you with is identifying all sources of liability. This investigation of your case includes a review of police reports, photographs, and witness statements, as well as working with accident reconstructionists/engineers to recreate the scene of your accident to determine every party that was at fault. Reasons for fault can include speeding, texting while driving, construction hazards, car defects, drunk driving and more. An experienced car accident attorney can help you seek compensation from multiple parties. Even if you were hit by only one car and can recover a limited amount from the other driver’s insurance, there may be other people responsible for your injuries that an experienced attorney can file claims against. For example, you might also be owed compensation from a party host or restaurant that served alcohol to a visibly inebriated drunk driver. If you are injured in a car accident, you should be able to rest and not have to haggle with insurers. Hiring an experienced personal injury attorney can help you avoid the stress that comes with having to fight your way through the thicket of personal injury claims in order to make sure you get full compensation for past and future medical expenses, vocational rehabilitation if necessary, lost wages, loss of earning capacity, and pain and suffering stemming from the accident. People whose loved ones, such as a spouse, children, or parents, have been killed in a car accident may also be entitled to pursue compensation through a wrongful death claim. While no amount of compensation can completely fill the emotional void caused by such a loss, we can help survivors focus on the future without worrying about the financial aspects of the loss. In a Florida wrongful death claim, survivors can seek financial compensation for expenses, lost wages, pain and suffering, lost support, and lost companionship, guidance, and instruction. We have more than 100 years of combined experience advocating for those who have been injured or killed in car accidents and will fight hard to recover the maximum compensation available. We are available 24 hours a day, 7 days a week. All consultations are free and confidential. Further, we work on a contingency fee basis, which means we do not get paid unless and until you do. If you or a loved one has been injured in a car accident because of someone else’s conduct, contact our experienced Fort Lauderdale car accident attorneys at 877-448-8585, or online to schedule a free consultation. We can also come to you, and are available to visit you in your home to discuss your case.